Borders can be geographical, physical, psychological, social, biographical, stylistic; financial... the list is endless. In this article, the 2017 Berlinale Bloggers collect together all the things they noticed about the subject of “borders” at the Berlinale. Philipp Bühler – Germany: In Sabu’s competition entry Mr. Long, borders are constantly crossed, firstly from Taiwan to Japan, but then also between genres. When Mr. Long’s new neighbours notice his culinary skills, they build the professional killer a mobile soup stall. Culinary violent cinema with morals – the Festival director Dieter Kosslick liked that, of course. The most beautiful thing, however, seems to be the overcoming of language boundaries: as is often the case with Jim Jarmusch (such as in Ghost Dog, 1999) consistent non-verbal non-communication leads to success. A small utopia in a competition in which the persistent conversation mostly involves disasters (The Dinner, The Party). Ahmed Shawky – Egypt: Each time you chat with the person next to you in a Berlinale theater; each time you look at the faces of the great variety of people coming out after a screening; every film from far away that touches your heart and opens your eyes to something new: at every moment of the Berlinale you can sense the meaning of a borderless world. A Berlinale world. Sarah Ward – Australia: Plentiful are the films that take a group of largely unconnected characters, force them into close quarters in uncertain circumstances, and watch how everyone reacts. Much more rare are the number of outcomes that eventuate — even when Álex de la Iglesia is in the director’s chair. Predicting the scrambling, bickering and duplicity that arises in The Bar isn’t difficult, but that doesn’t make the Spanish filmmaker’s latest effort any less perceptive. Boasting his trademark dark humour and energetic pace, the part black comedy, part tense thriller observes human interaction at its most primal and survival-oriented. Here, strangers physically shelter together, but they ultimately discover that, emotionally and psychologically, they’re really alone against each other and the world. Yun-hua Chen – China: For me, Somniloquies, directed by Verena Paravel and Lucien Castaing-Taylor, is a great illustration of the concept of borders, and one that is achieved in a beautifully cinematic fashion. In a dreamy, poetic and self-reflexive way the film drifts between light and darkness, consciousness and unconsciousness, words and images, body and space, and various sleeping and indiscernible bodies. Borders are blurred, crossed and then redefined over and over again. The intermittent dream-talking that we hear is funny at times and slightly shocking at others, while the camera indulges itself in deep sombreness and slumber. Andrea D’Addio – Italy: The most remarkable borders at the Berlinale are those crossed by Khaled, the Syrian immigrant in The Other Side of Hope by Aki Kaurismäki, the best film of the Berlinale 2017. Khaled arrives in Finland by stowing away on a Polish cargo ship having crossed the length and breadth of Europe. Fleeing from the war, he lost track of his sister in the course of his journey. He looked for her in the refugee camps in Serbia, Austria, Germany, Croatia and Hungary, but without success. When the Finnish officer in charge of assessing whether to give him refugee status asks him how he managed to travel unnoticed around Europe without anyone asking him for documents or fingerprints, Khaled replies: “Nobody really wants to see us.” Today’s borders are not between countries; rather they divide different social classes. Nathanael Smith – United Kingdom: To me, that scene of Khaled’s asylum interview was one of the best scenes in The Other Side of Hope – and also one of its simplest. Aki Kaurismäki’s film is a delight, employing his usual deadpan humour and stunning use of colour. During the interview, Khaled begins a monologue of his experiences in travelling from Aleppo to Finland. As he speaks of the fraught border crossings, family separation and violence he has endured, the camera stays in close up on his face, totally still. Kaurismäki realises that sometimes you don’t need cinematic trickery; the story is enough. Julia Thurnau – Norway: Je. Moi. Why me and not you? I am the one who is different. No, you are! I have more money than you. I am poor but my ancestors were rich. You foreigner! You’re lesbian. I’m transgender. Bisexual. You like to wear women’s clothes. I’m not a transvestite, I’m intersexual. You’re gay. Sugar daddy. Whore. Teacher. Writer. Politician. Policewoman. Doctor. Cleaner … Aren’t all categories stereotypes? External factors, producible, changeable, flexible? Boxes in which to pigeonhole things? Is it not the case that truth, like art, begins beyond these categories? Are borders not there in order to be crossed? To me, there Berlinale 2017 was full of stereotypes. Dorota Chrobak – Poland: Borders can be very subtle. One of them lies between … an apartment and a balcony. When you’re sitting in a chair on the balcony and looking ahead, thoughts fly away by themselves, far away, up into space. But you only need to turn around to immediately return to reality, the daily bustle and teeth-brushing. There’s a huge difference between “me in the apartment”, and “me on the balcony”. The Norwegian film diary From the Balcony, by colliding the apartment with the balcony, at the same time collides what we refer to as “personal space” with “social space”. The boundary between them is thin, and in some way associated with loneliness. We can’t be human without other humans, but we can’t be ourselves without being separate. Pablo López Barbero – Spain: I saw many borders in Sally Potter’s film The Party. Invisible borders, demarcated with unsaid words, lies and jealousy. The most abstract borders and perhaps also the most human. It all explodes at a dinner with friends, when infidelities and other stories come to light, breaking up what appeared to be a healthy friendship. With gentle humour, Potter uncovers the most frivolous side of human behaviour, paradoxically in a black and white production. It discusses social borders, those we build with our partners, our friends and ourselves. When you want to tear them down, it may already be too late. The 67th Berlinale took place from 9 to 19 February 2017. 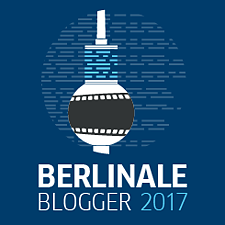 On behalf of the Goethe-Institut, twelve bloggers and film journalists from around the world were our Berlinale Bloggers, reporting on the international film festival from a multinational perspective.